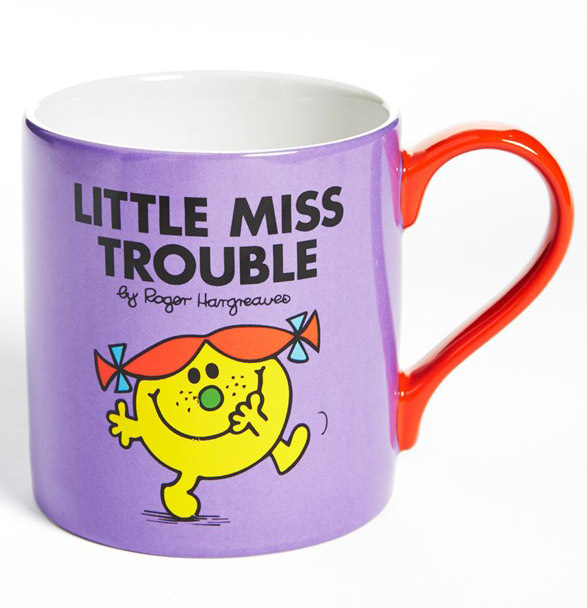 A colorful character from Roger Hargreaves’ timeless Mr. Men collection enlivens this stoneware Little Miss Trouble Mug that serves up a dose of nostalgia along with your morning joe. $11. Free shipping. Buy here. 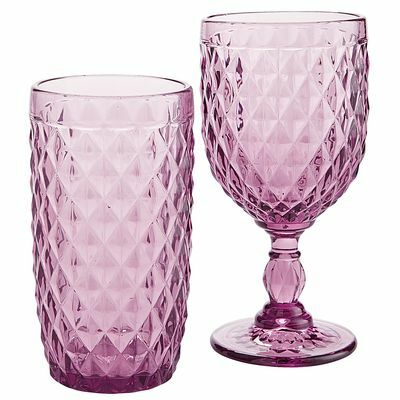 This collection of Purple Diamond Cut Glassware echoes the sophistication of a bygone era. But its stunning, diamond-style cut is perfectly suited for your present-day enjoyment—as in formal dinner parties or casual patio brunches. $6.95-$8.95. Buy here. 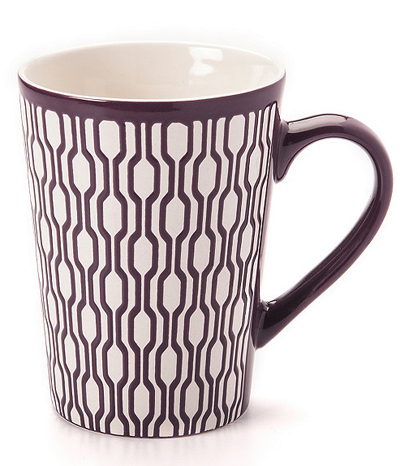 Bring a splash of color to your kitchen with this Purple Geometric Mug. From modern to playful, these mugs are perfect for your favorite warm beverage and will brighten up even the greyest of mornings. $5.99. Buy here. 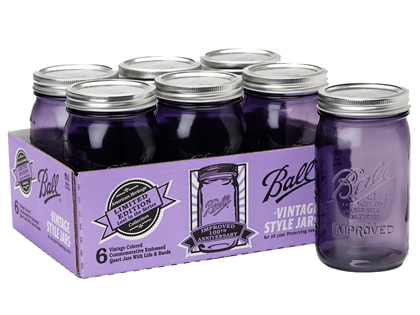 These Purple Ball Jar Ball Heritage Collection Pint Jars with Lids and Bands are perfect for all of your creations. The limited edition regular mouth pint and wide mouth quart jars feature a period-inspired purple color and embossed logos on front and back. In Pint or Quart. Set of 6. $12.99-$14.99 Sale $10.99-$11.99. Buy here. 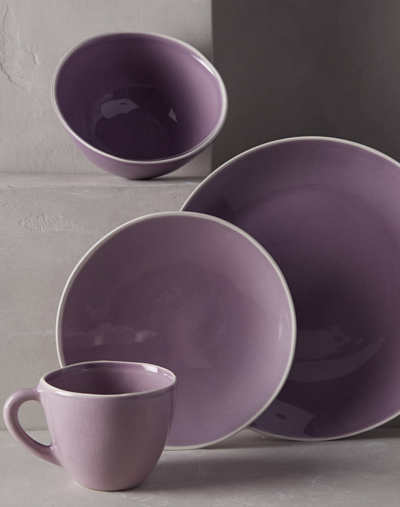 Clean-lined and perfectly proportioned, this earthenware Laurentide Lilac Dinnerware provides a neutral base to show off your culinary creations. Dishwasher safe. $10-$18. Buy here. 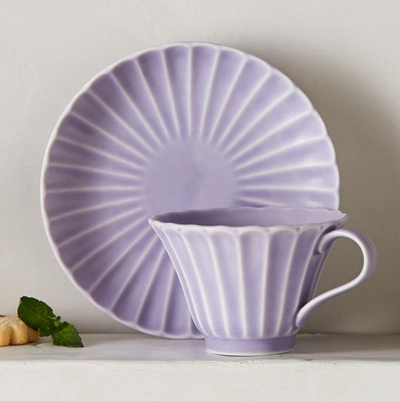 This sweet Majorelle Teacup & Saucer lends your tabletop cheery polish. Made of porcelain. Dishwasher and microwave safe. $20. Buy here. 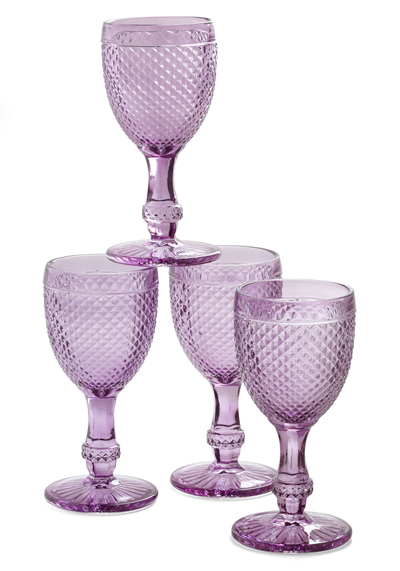 With quilted-inspired embossing and a fancy stem supporting each goblet, The Royal Chalice Glass Set brings sophistication to your table. $44.99. Buy here.